There is no real difference in art between creation and destruction; every destructive act is in itself a creative act of transformation. The phenomenon of iconoclasm, literally "destruction of images," dates back centuries and bears religious connotations. 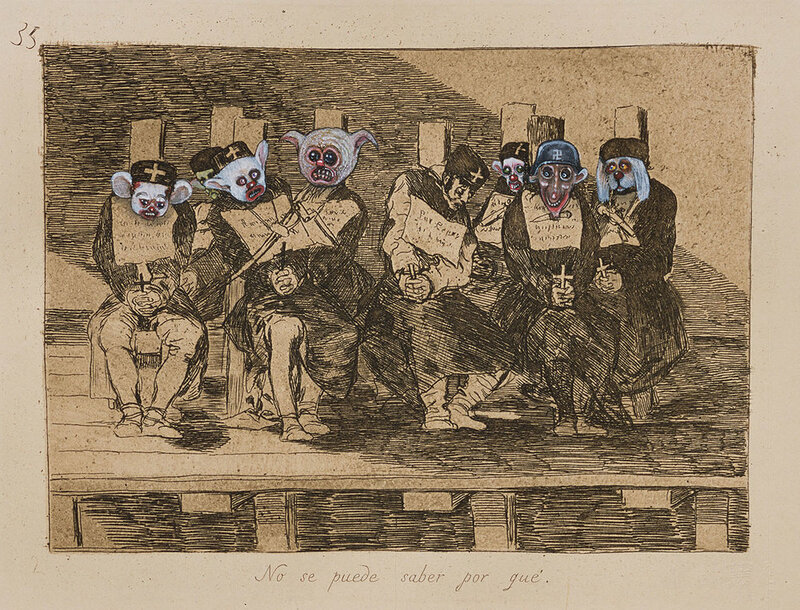 However, since its inception, it has acquired a strong political and social meanings, to eventually become a fundamental feature of the artistic avantgarde. The protestant reform of Martin Luther in the 16th century rejected the representation of saints and of Jesus Christ, comparing it to a form of idolatry and superstition, and promoted the destruction of sacred paintings. The French revolutionaries thought that to behead statues of dukes and barons, destroy the palaces of the Ancient Regime, and eliminate the inscriptions that have celebrated kings and bishops were the steps towards the elimination an age of oppression. Iconoclasm became a political act, an act of social, and intellectual, liberation. Art was considered a luxury that didn't fit with the new necessities of the population. Nobody Knows Why, 2003 by Jake and Dinos Chapman. From the early days of the 21st century until today, avantgarde artists have seen in the iconoclastic act an incisive metaphor to describe the decay of the world. They chose, and they choose today, destruction and aggression against the rules of a deteriorating society. There are many images that evoke iconoclasm in modern and contemporary art: the destroyed Venetian palaces and canals full of ruins imagined by Marinetti, the collages and deconstructed poems of the Dadaists, representing the confusion and obscurity of the age, the explosive cars of Tingeley, symbol of industrial overproduction, the cremation of Baldessari, which proclaimed the death of the " official artist," the broken vases of Ai Weiwei against globalisation, the devilish faces painted by the Chapman over Goya's painting, the destroyed piano of the Fluxus, the dress of Yoko Ono, ripped apart until she became naked. From the series Illustrated People, by Thomas Mailaender. 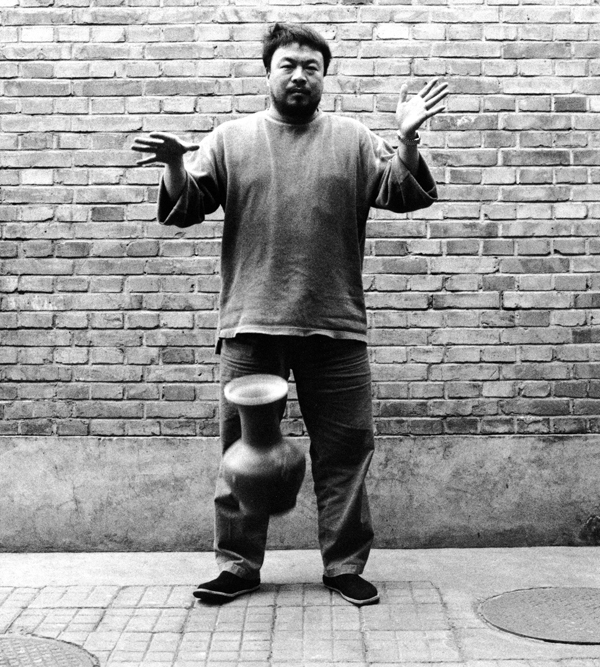 Dropping a Han Dynasty Urn, 1995 by Ai Weiwei. What value does iconoclasm have today? The recent exhibition at the Saatchi Gallery, "Iconoclasts. Art Out of the Mainstream," investigates this theme through the works of new artists, from Maurizio Anzieri to Douglas White. Their art is different from the "classic" iconoclasts of the past, but in their intention to destroy the conventional image and the conventional way of creating it, mixing different media and exploring new materials, they are real iconoclasts. 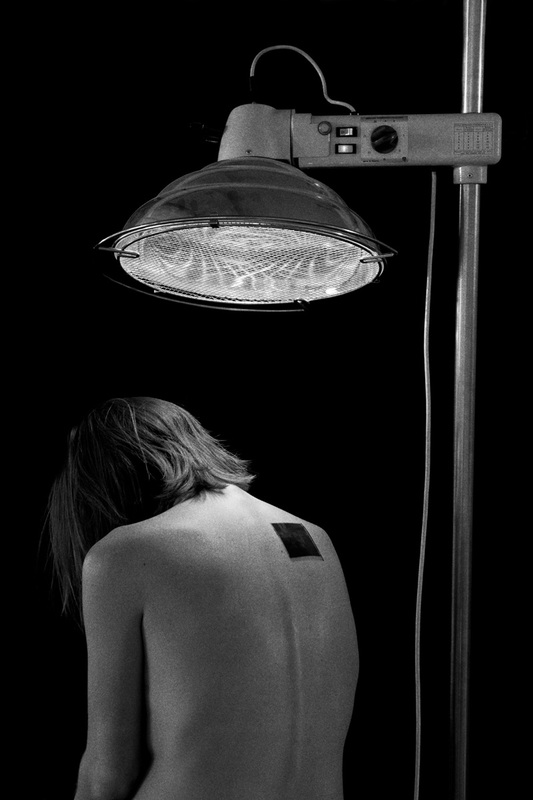 For them, to destroy is to reveal, to show the authentic state of things, beyond appearance; their research is not only social but also psychological. They seem, in different and personal ways, to deprive pictures and objects from their reassuring aura; Anzieri sews fabrics over vintage portraits, hiding the face but revealing the soul of the subject; Thomas Mailaender creates photographs that seem to appear from the body like a burn; Dale Lewis´ creations approach a similar take on the destruction of the body in representation: long legged deformed humans who live in a crazed world. Corvid, 2011 by Kate MccGwire. The new iconoclasts are inspired by death and natural decomposition; Kate McGwire uses discarded pigeon feathers to turn into artworks, while Douglas White finds inspiration for his sculptures in the skin and bones of a dead elephant. From the ruins of these deconstructed pictures new images are born because iconoclasm is never utter destruction; the act of destroying adds value to the object, expanding on shape, function, and ultimately, meaning, in what could be an attempt to rethink the present and reimagine the future, free from expectation, and conceptual and existential routine.